Explore the Galápagos Islands – Where the Wild Things Are. Australians can explore Ecuador's iconic Galápagos Islands year-round with Lindblad Expeditions-National Geographic, spot an abundance of wildlife aboard a National Geographic ship and receive $500 air credit per person plus free flights to the islands from the mainland if bookings on select departures are made by August 30, 2015. Boasting 58 volcanic islands on the equator 900km west of continental Ecuador, the Galapagos archipelago was made famous in 1835 when naturalist, Charles Darwin, visited as part of a five-year voyage which led to his work, "The Origin of Species". In observing the local wildlife, Darwin found that some animals separated from their main population had adapted to their environment, eventually changing to become new species. Today more than 26 endemic species have been identified, including 15 types of passerine birds known as Darwin's finches, the giant Galápagos tortoises – the largest in the world, with some more than 1.5 metres in length - and marine iguanas – the only lizards in the world which can forage in the sea. 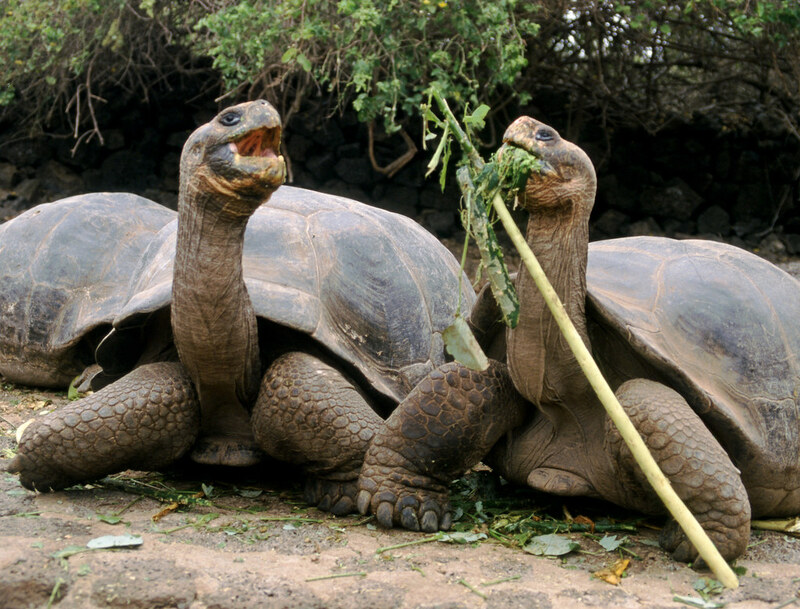 The Galápagos is the only place in the world where these animals can be seen in their natural habitat. The diverse wildlife is also known for its lack of an instinctive fear of humans, offering visitors intimate encounters with the creatures and excellent opportunities for photographs. Like Charles Darwin, travellers on Lindblad's nine-night Galapagos expeditions will explore the world-famous islands by expedition ship, with the gracious, 96-guest, National Geographic Endeavour or the intimate 48-guest National Geographic Islander acting as a home base from which to discover the volcanic coastlines and endemic wildlife. Seven nights will be spent onboard, during which time travellers will visit the islands of Bartolome - where they will snorkel with Galápagos penguins, Santiago – where they will encounter fur seals, Santa Cruz – home to the Charles Darwin Research station, Isabela – where travellers will swim and hike over rugged shoreline, Fernandina – with its marine iguanas and flightless cormorants, Floreana – where travellers will snorkel with sea lions and spot sea turtles, and Española – home to waved albatross and hundreds of Darwin's finches. 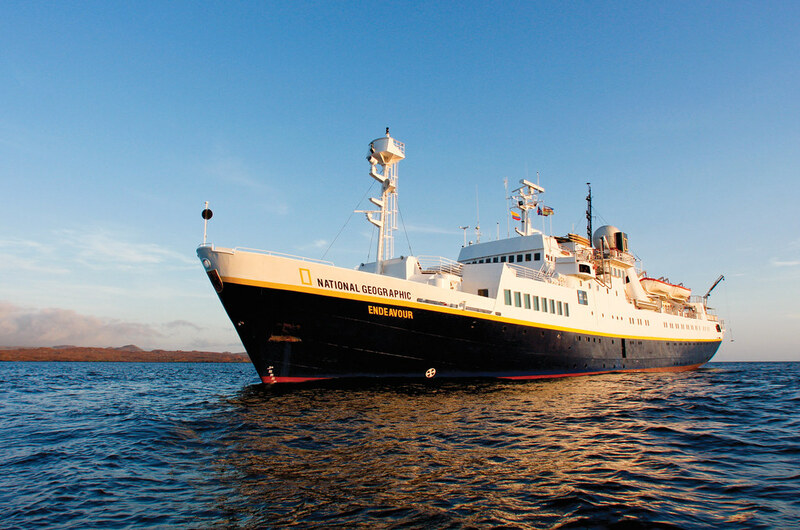 Expeditions are priced from A$6990 per person, twin-share, for the nine-night itinerary and includes one night's pre and post-cruise accommodation in either Guayaquil or Quito in mainland Ecuador and the seven-night cruise with onboard meals, non-alcoholic beverages, all excursions, zodiac and kayak expeditions, lectures and presentations, park and entrance fees, the expertise of expedition staff, and the use of wetsuits and snorkel equipment. Departures are available year-round. Bookings made before August 30, 2015, on selected departures from August 20 - December 15, 2015, will attract $500 air credit per person plus complimentary return flights from the mainland of Ecuador to the Galapagos. Conditions apply. Get Up & Go Goes Cruising!